For the First Time Ever... A "Casino Quality" Svengali Deck! 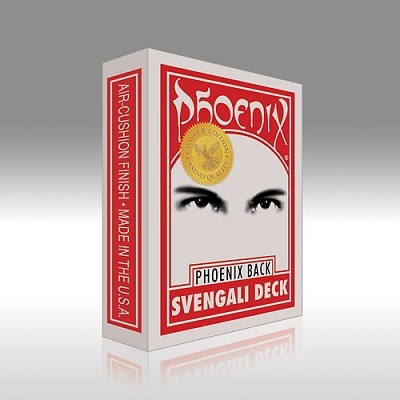 Keeping with our exacting standards for magicians, Card-Shark is proud to release our "Casino Quality" Phoenix Svengali Deck. These decks are made from sorted "Casino Quality" Short Cards blended with our regular "Casino Quality" Phoenix Cards. The result is a Svengali Deck that handles like no other. We even shortened the back design on the short cards so there is no tell-tale narrow border. Further, being "Casino Quality", over hand shuffles are a dream, with no fear of the cards being drawn "out of order". All the popular Svengali moves are so easy. This is NOT your old Svengali Deck!! To handle it is to love it! The famous trick deck that does all the work for you… but now in Phoenix Deck "Casino Quality". Absolutely the BEST Svengali Deck on the market!! Available in Red Phoenix Back only.